When do the clocks to back and why? Sadly it won’t be long before we are once again getting up in the dark and going home in the dark - but on the upside you will get an extra hour in bed! Each year our clocks go forward one hour in March and back an hour in October as British Summer Time begins and ends. 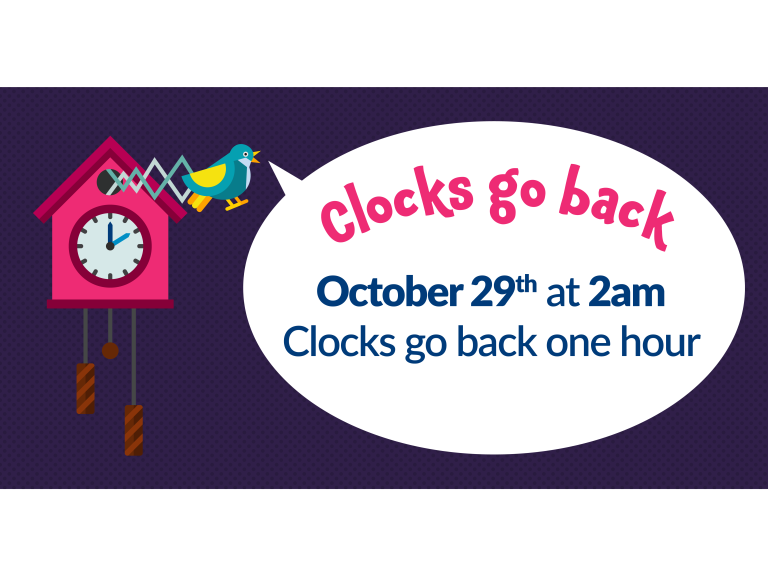 This year the UK will be moving clocks back at 2am on Sunday 29th October. Farnham born, William Willett, created Daylight Saving Time back in 1907 in a bid to stop people wasting valuable hours of light. He campaigned tirelessly to get this passed as a law through parliament. The outbreak of the First World War made this issue much more important as it would give workers an extra hour of sunlight and help to save coal. The government eventually brought in Daylight Saving Time in 1916, although Germany had already become the first country to adopt the clock-changing plan. William did not live to see his idea become law, as he died of influenza at the age of 58 in 1915. When will the clocks next change? The clocks will go forward to mark the beginning of British Summer Time on Sunday 25 March 2018 at 1.00am.